A farmer has been given a 12-week curfew after failing to properly care for one of his cows. Philip Dickinson, 67, of Lower Stakehill Farm in Middleton was sentenced for failing to act on the avoidable and unnecessary suffering of a protected animal under his control at Manchester and Salford Magistrates’ Court on Thursday, July 27. 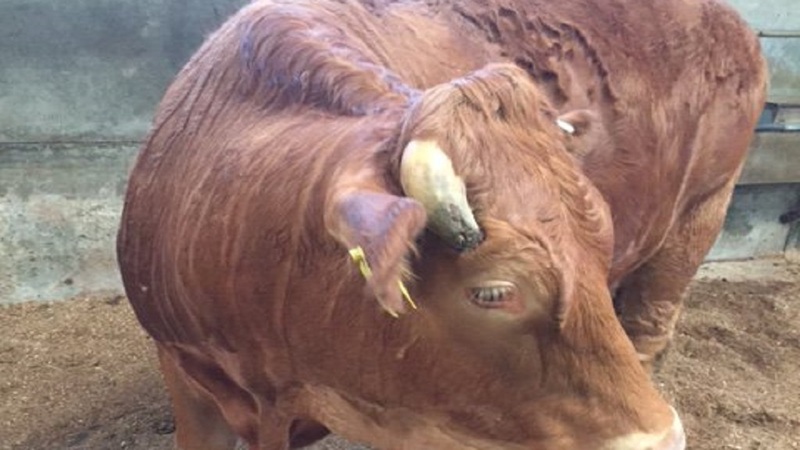 Rochdale Borough Council brought the prosecution after a cow, sent off for slaughter, was found with a severe in-growing horn going back into its head. Mr Dickinson, who appeared at court unrepresented, must now serve a 12-week curfew between 10:30pm and 8am and pay back costs and charges of £765. He has been ordered to pay back the costs in instalments of £10 a week and must wear an electronic tag which will be monitored by the court. No disqualification order from owning, keeping or participating in the keeping of animals was ordered at this time due to Mr Dickinson’s previous good character and the potential loss of livelihood. Councillor Jacqueline Beswick, cabinet member for health and wellbeing at Rochdale Borough Council, said: "People who rear and keep animals for food purposes have an obligation to do so in a responsible and safe manner, not only to ensure the good health and welfare of the animal, but the safety of the food we eat as well. "The cruelty in this case is very distressing and I hope that the sentencing will reinforce the importance of looking after animals. We will not hesitate to prosecute anyone who put the health of animals and the general public at risk."